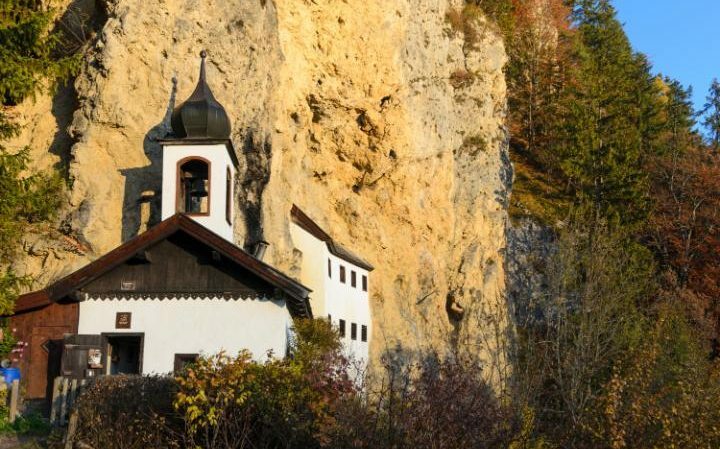 The Austrian town of Saalfelden in the state of Salzburg is looking for someone to live in a nearby hermitage which was built more than 350 years ago in steep, rocky cliffs. However, it’s advisable that applicants have a private income or a second job, as the parish website says the position is unpaid. As the hermitage is unheated and without running water, it’s only inhabitable between April and November. State broadcaster ORF quoted local cleric Alois Moser as saying the search is on for “a self-sufficient person who is at peace with their self, and willing to talk to people, but not to impose”. The successful candidate should have a Christian outlook and be ready to greet visiting pilgrims and locals. Many people visit the hermitage to enjoy the view, to pray, and to talk about issues that affect or trouble them. Moser, along with Saalfelden’s mayor Erich Rohrmoser, will select the new hermit. The winning candidate will be chosen more on the basis of personality than training and professional experience. The deadline for applications is March 15th, 2017. Anyone interested in becoming a hermit should send their CV, along with a letter explaining why they want the position, and an up-to-date photo, to Pfarramt Saalfelden, zH. Herrn Dechant Alois Moser, Lofererstraße 11, 5760 Saalfelden. The hermitage – one of the few such places in Central Europe to still be in use – has been uninhabited since a Viennese pastor and psychotherapist left last autumn, to return to his normal life in the capital after a year. Before him, a Benedictine monk lived there for 12 years. In 1970 a man fired a shotgun at the hermitage doors, but luckily the resident hermit was uninjured. However, he was so frightened that he went back to his home in Styria. The motive turned out to be jealously – the gunman was a local who had unsuccessfully applied for the job himself. However, since then the hermitage has been without incident and is reputedly very peaceful. It is built into a natural cave above Lichtenberg castle, and a chapel was built next to it in the 17th century.